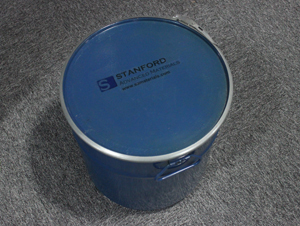 Stanford Advanced Materials (SAM) is a trusted supplier of holmium oxide (Ho2O3). We provide ultra-high purity holmium oxide powder at a competitive price. Holmium (III) oxide, also known as Holmia, is a light yellow powder that is one of the most paramagnetic substances known. Holmium Oxide, has specialized uses in ceramics, glass, phosphors and metal halide lamp, and dopant to garnet laser. Holmium can absorb fission-bred neutrons, it is also used in nuclear reactors to keep atomic chain reaction from running out of control. Holmium Oxide is one of the colorants used for cubic zirconia and glass, providing yellow or red coloring. It is one of the colorants used for cubic zirconia and glass, providing yellow or red coloring. It is also used in Yttrium-Aluminum-Garnet (YAG) and Yttrium-Lanthanum-Fluoride (YLF) solid-state lasers found in microwave equipment (which are in turn found in a variety of medical and dental settings). We also supply customized Holmium Oxide on request. Our Holmium Oxide is clearly tagged and labeled externally to ensure efficient identification and quality control. Great care is taken to avoid any damage which might be caused during storage or transportation.